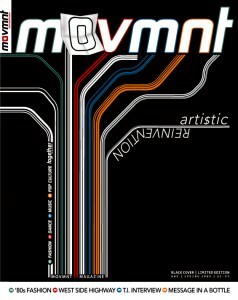 Movmnt Magazine presents iVAN, i-VISION, i-ANALYZE and i-NETWORK, an online mini-series hosted by hip-hop dancer/choreographer, Ivan Koumaev. After covering So You Think You Can Dance season 4 for Movmnt, Ivan met up with the crews behind the scenes of MTV’s America’s Best Dance Crew Season 3. With the start of ABDC’s fourth season, Movmnt brings you an exclusive interview with the winners of last season. Ivan visits the one and only Quest Crew in their hotel room and chats it up backstage with Beau Fornier from Fanny Pak (ABDC season 2) about his thoughts on the judges of ABDC. Now in its 4th season, ABDC’s has an eclectic array of competitors. The show kicked off last Sunday with Latin flavorings from AfroBoriké, the classically trained Artistry in Motion, crazy steps from Beat Ya Feet, the green-sportin’ Massive Monkees, the street savvy Rhythm City, a twangy hip hop twisted from Southern Movement, the bright lights of Vogue Evolution, and the poppin’ styles of We Are Heroes. The first crew eliminated was the funky jazz dancin’ Fr3sh. 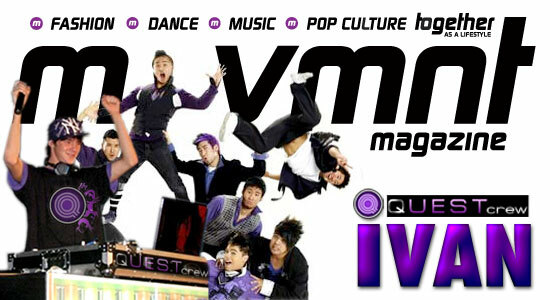 Join the free network at movmnt.net for more inside ABDC exclusives, or check out more iVAN episodes at movmnt.com/ivan.